Ino Shukuho is a legacy of 3 generations of potters, each with different styles and techniques. The current Shukuho, Ino Yoshiki, was born in 1943. 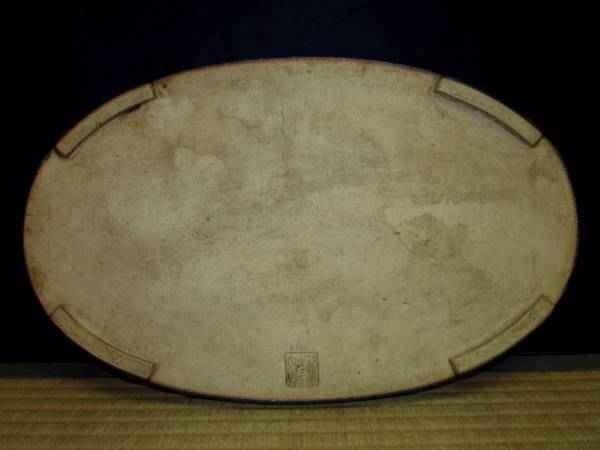 His father, Ino Kiichiro, was a purveyor for the Imperial Houshokd, and was close friends with Heian Tofukuji; many of Tofukuji’s greatest later works were fired in the Shukuho kiln. 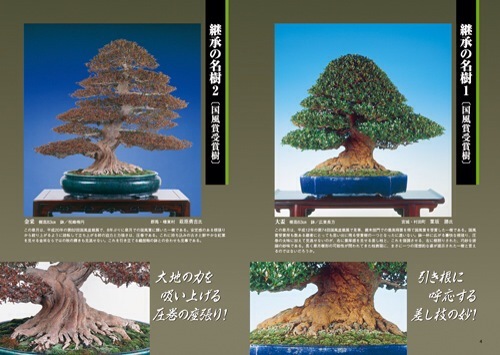 Shukuho has won numerous prizes and awards, and his containers are some of the most popular for Shohin bonsai in Japan. 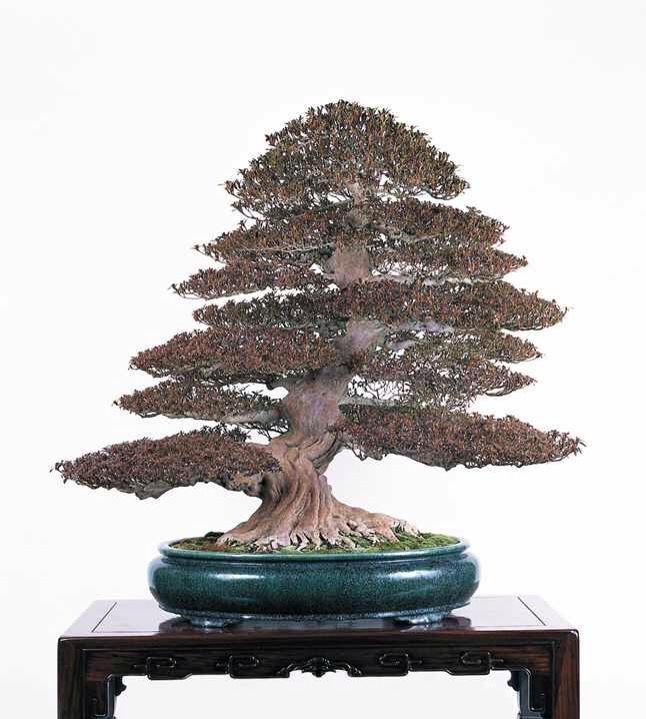 The vast majority are carved from a single block of Kyoto clay, leaving production levels very low due to the labor intensive nature of the method. 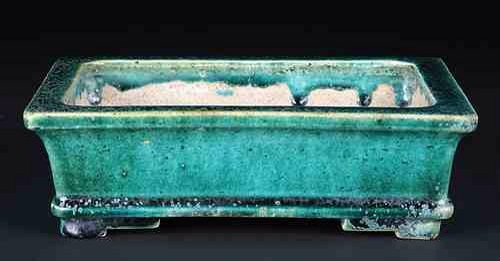 Many works were commissioned bY Takeyama San of Fuyo En, who was a driving force behind some of the kiln’s later designs. 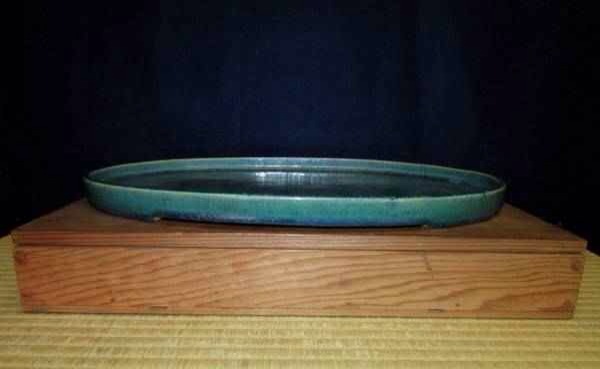 It’s said that 3rd Generation Shukuho’s Oribe Glaze is virtually identical to Tofukuji’s. Now on to the pots! 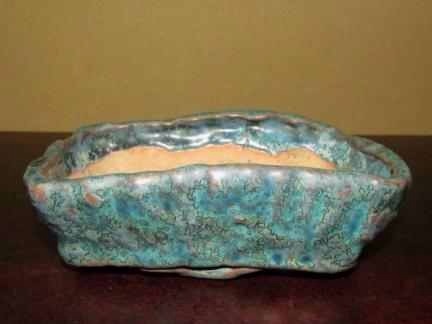 A fairly typical example of Shukuho Oribe glaze. The light tan colored Kyoto clay body really helps the greens and blues shine. Another Oribe, this one showing quite a bit more blue streaking over the green. 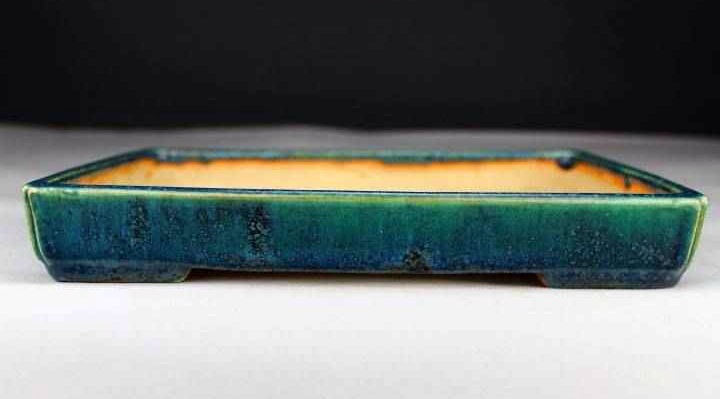 Really fantastic rectangle with a metallic cream and greenish red glaze. 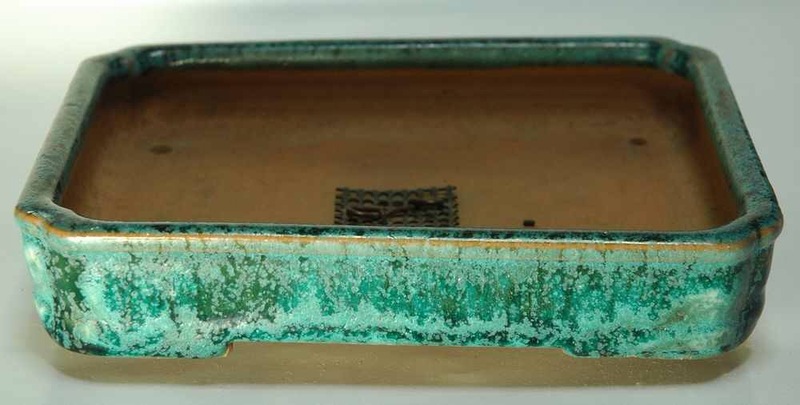 Standard rectangle Oribe with cut feet, showing a significant amount of crystal formation. 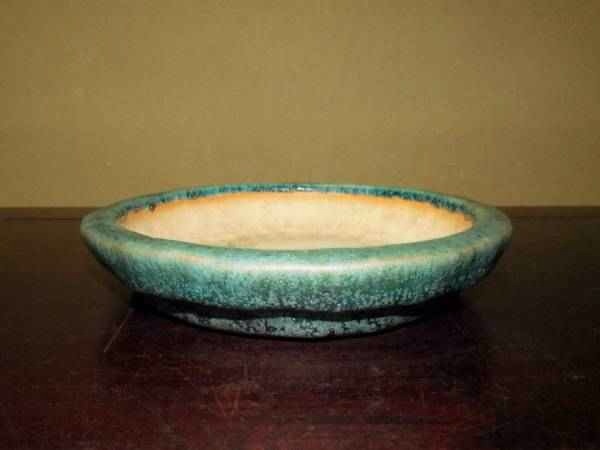 A really unique hand formed piece with a met takin silverish glaze. 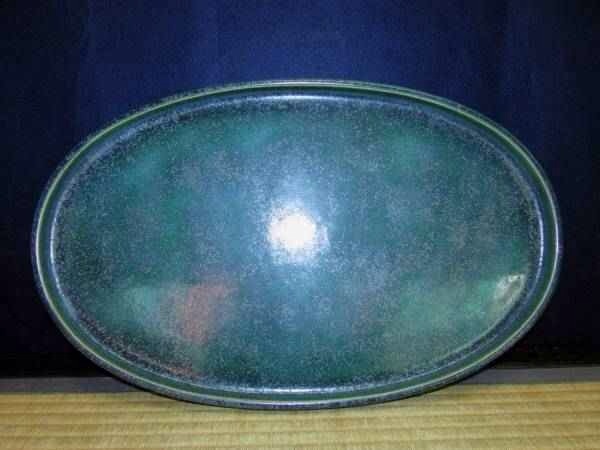 Rare mokko shape in a darker green with crystals. 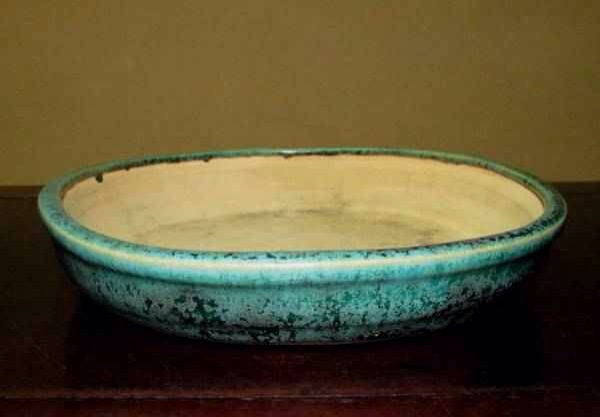 Lovely oval in light blue and green. 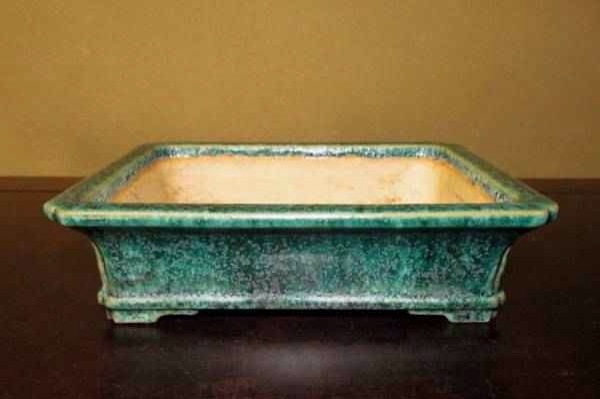 A rare and exceptional Suiban in Oribe green with blue touches. A light blue rectangle with cut corners and speckling. 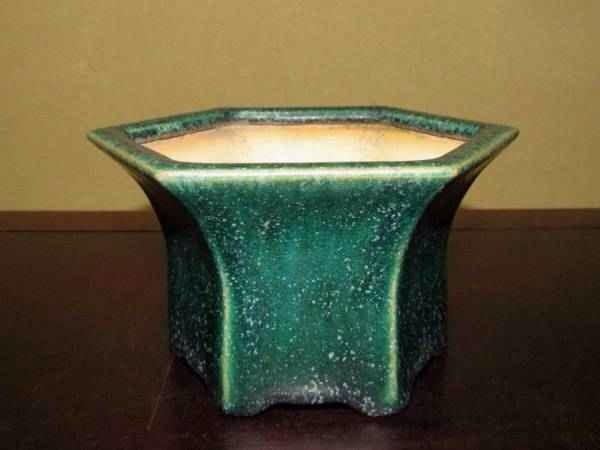 A really six-sided cascade in Oribe green with crystals. A rarer style rectangle in Oribe with cut corners and great crystal speckling. 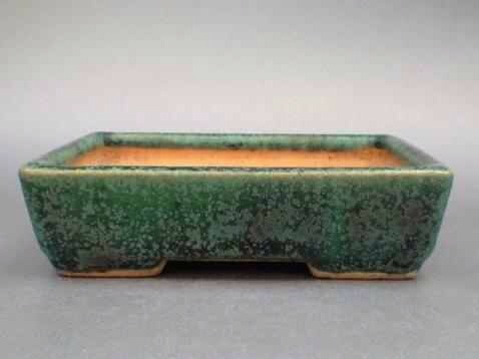 For comparison, a world class Tofukuji Oribe in a similar shape and glaze. 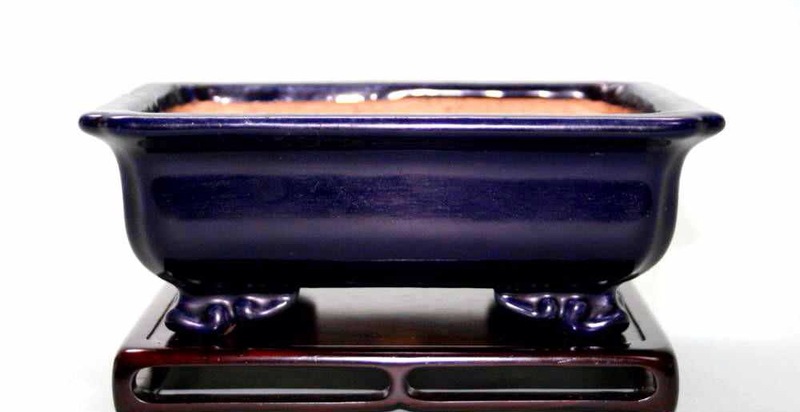 A great rectangle with cut corners, lip, and cloud feet in an excellent Canton style ruri indigo blue. Oval Oribe showing significant blue highlights. Lovely glaze. 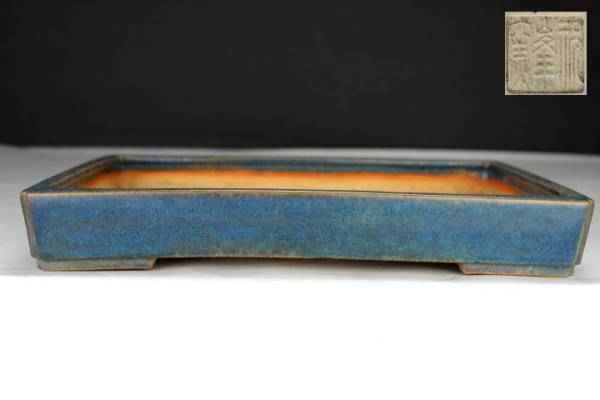 An interesting Oribe blue with some texture under the glaze. 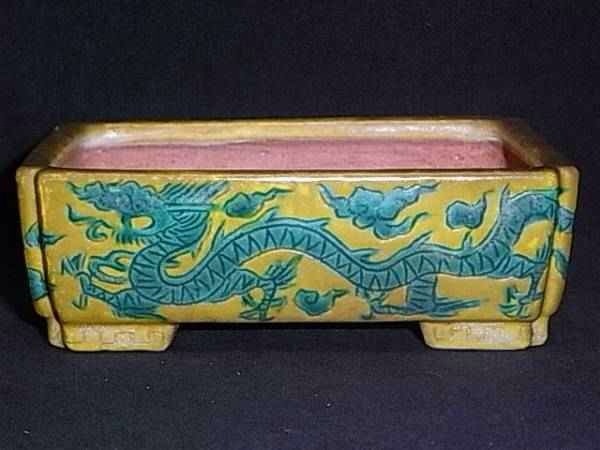 A much rarer relief carved celadon porcelain six sided container. 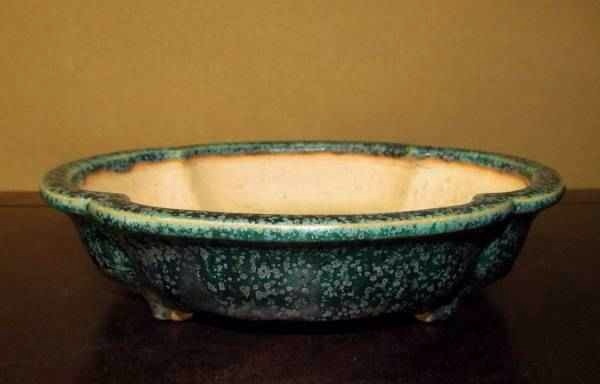 Excellent relief work and beautiful celadon porcelain. 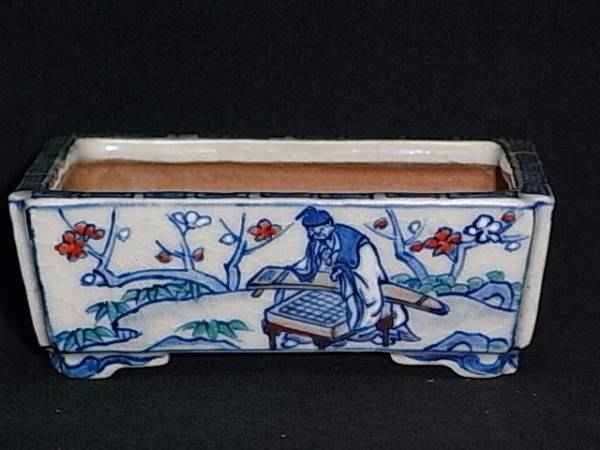 While these traditional Kyo-style overgraze enameled and painted pieces are more typical of first and second generation Shukuho works, some exist from third generation as well. And We’ll finish up here….with this Satsuki at the top left, Kokufu Sho Prize winner, in a Shukuho container. That’s one sweet Satsuki! And the Shukuho matches it perfectly. 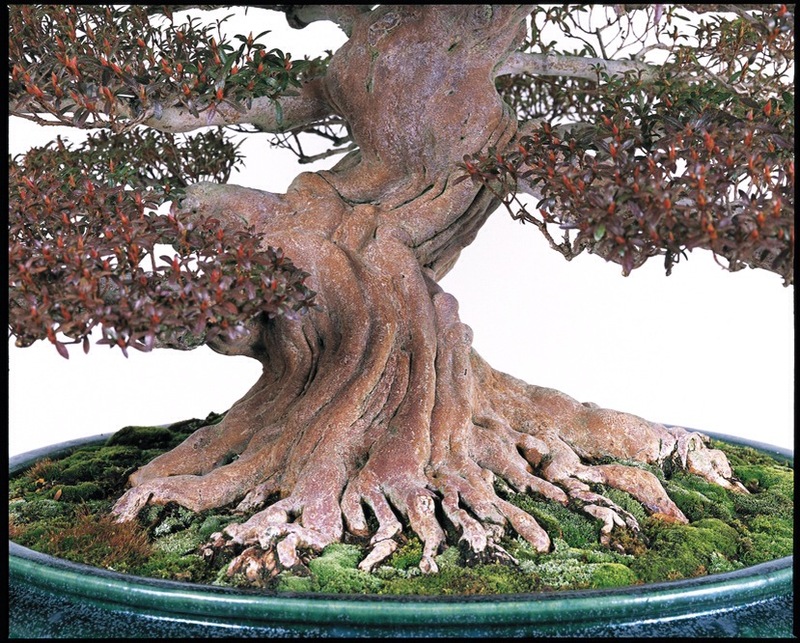 Hope you’ve enjoyed this look at Shukuho bonsai containers. Thanks for reading! Always a favorite! I just bought that blue rectangle yesterday!